More On Skiing Chile, Fat Bikes For Seniors, Mammoth Invests In Summer, Lost Baby Robin, Alone In The Woods. Summer is in full glory as we write this. So far, in New England, we’ve had a massive, long-lasting heat wave, heavy rains, clear skies, and classic summer days. We’ve been hiking, riding our bike in prep for a charity ride in a couple of months, sailing, and generally enjoying the outdoors. And that is probably not unlike what you, dear reader, are doing this summer. In our recent survey, we asked what kinds of summer activities you were involved in. The collective responses revealed a demographic of active, fitness-oriented seniors who have a vast array of different activities off the snow. In a way, you inspire us to get going when we’d rather be lazy. We have readers who are volunteers restoring historic vessels, one Master of Foxhounds(! ), lots of gardeners, car show exhibitors, swimmers, tennis and polo players, weight lifters, dog trainers, yoga practitioners, and community service activists. 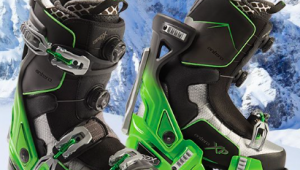 Well done, SeniorsSkiing.com readers! In fact, you’ve shown us another side of you, an interesting you that we’d like to know more about. So, we’re going to follow up with a new feature next winter profiling some of our readers who have unusual and noteworthy past-times. Stay tuned. Our focus on the Southern Hemisphere continues with another look at skiing in Chile. This time, SeniorsSkiing.com correspondent Casey Earle tells us what to expect when you ski in Chile; be advised, it’s really different from your local area. Long-time correspondent Pat McCloskey tells us about the emergence of the “Fat Bike”, a mountain bike with tires on steroids. Turns out, fat bikes are boon to seniors who love to ride the gnarly. If you’re looking for a new way to ride, check out what might be a serious game changer for our many readers who cycle. Utah-based correspondent Harriet Wallis has time on her hands as she recovers from a wrist injury. She recounts a charming tale of rescuing a baby robin. Who hasn’t had an encounter with a baby bird outside the nest? Washington state-based Yvette Cardozo has taken a trip down to Mammoth Mountain to report on the investments in summer activities funded by the Alterra Mountain Co., Mammoth’s new owners. It’s amazing what $10 million will do when poured into developing non-snow activities. How about a Mega-Zip line from 11,000 feet down to the base lodge? Whee! 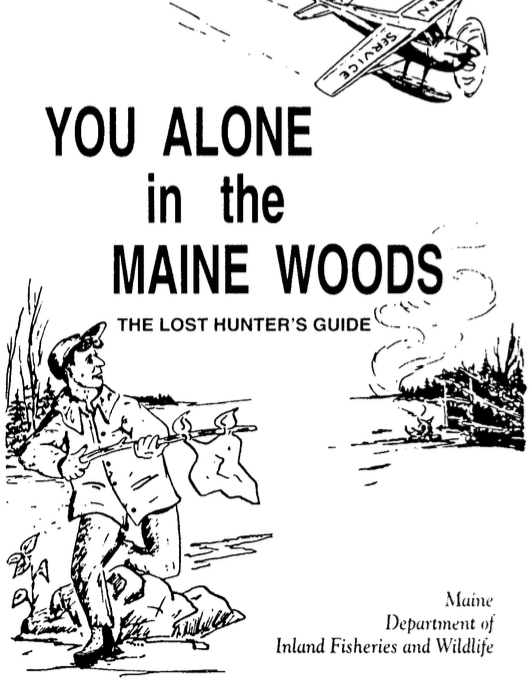 Finally, we are publishing “Alone In The Woods, A Lost Hunter’s Guide,” a document we discovered a few years ago from the State of Maine. It is filled with advice and guidance on surviving in the woods if you are lost, injured, or just unlucky. Despite the folksy presentation and cartoon illustrations, the content is invaluable. We’re offering it as a free download to all readers. Tell us what you think. We’ve been called a bit nerdy for watching the El Nino conditions in the Eastern Pacific. Nevertheless, the La Nina-El Nino natural oscillation has shown to be predictive of the weather not only in North America but around the world. 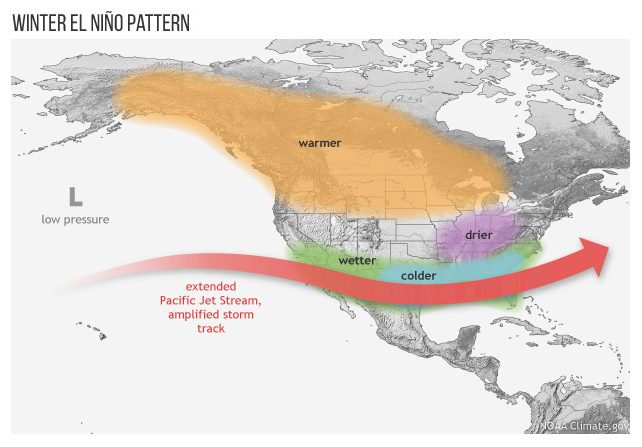 The latest report from the National Weather Service Climate Prediction Service says the probability for having an El Nino are literally warming up. Here is what a classic El Nino winter looks like: Remember, this is a prediction of the future in a chaotic weather system. Learn, but don’t place any bets. A typical El Nino winter may be in store for 2018-19. Credit: Climate Prediction Center. 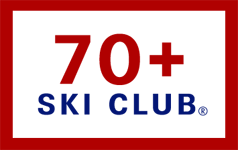 Thanks for reading SeniorsSkiing.com. Tell your friends about us. Remember, there are more of us every day and we aren’t going away!